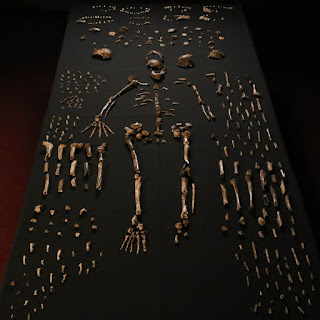 One of the odder reactions to Homo naledi when it was announced back in 2015 was the notion that there was more than one hominin species in the Dinaledi chamber. I saw that idea hinted at in a Newsweek editorial from Jeffrey Schwartz, and it was later picked up by others including a few creationists. The skeleton in that photo above is actually a composite probably made from multiple individuals. How can we be sure that they all belong to the same species? Now that we have fossils from the Lesedi chamber, let's revisit that claim. I think it has not been "dealt with" in any formal way, mostly because there is no merit to the claim since it's very unlikely. Actually, we might "calculate" a rough probability. Let's assume there are 30 individuals in the cave, evenly divided between two species. Marchi et al. (2016) report 14 right femoral elements recovered during the first two Dinaledi excavations, all of which are very similar to one another morphologically and therefore from a single species. But a random sample of 14 from a selection of 30 right femurs should give 7 of one species and 7 of the other, all things being equal. Given 30 right femurs, there are 30!/(14!)(16!) = 145422675 possible combinations of 14 different femurs. Since there are 15 right femurs from one species, that means there are 15 ways of selecting just 14 of those femurs. So that means there is a probability of 15/145422675 or 1e-7 of randomly selecting 14 right femurs from the same species (without replacement) in a sample of 30 right femurs evenly split between species. And that's just the right femurs! It gets impossibly improbable when you realize you have the same improbability for every other identifiable skeletal element. It's just a ludicrous proposal. For those who don't like math (and there are many, don't feel bad), now we have another line of evidence that refutes with the "multiple species" idea: the skeleton of Neo. This skeleton was found in close proximity in the Lesedi chamber and very likely represents a single individual. The skull possesses the diagnostic combination of characters of Homo naledi from the original Dinaledi chamber. The collar bone matches the fragmentary ones recovered from the Dinaledi chamber. The arm bones are less complete, but they also match the arm bones found in the Dinaledi chamber. Neo's four hand bones are similar in shape to the hand recovered from the Dinaledi chamber, but they are larger. The pieces of backbone from Lesedi also match the pieces of backbone from Dinaledi. Neo's thigh bone (femur) is also very similar to the corresponding bones from the Dinaledi chamber. So here we have the same set of characteristics observed from the composite skeleton of Dinaledi in a single individual's skeleton from Lesedi. 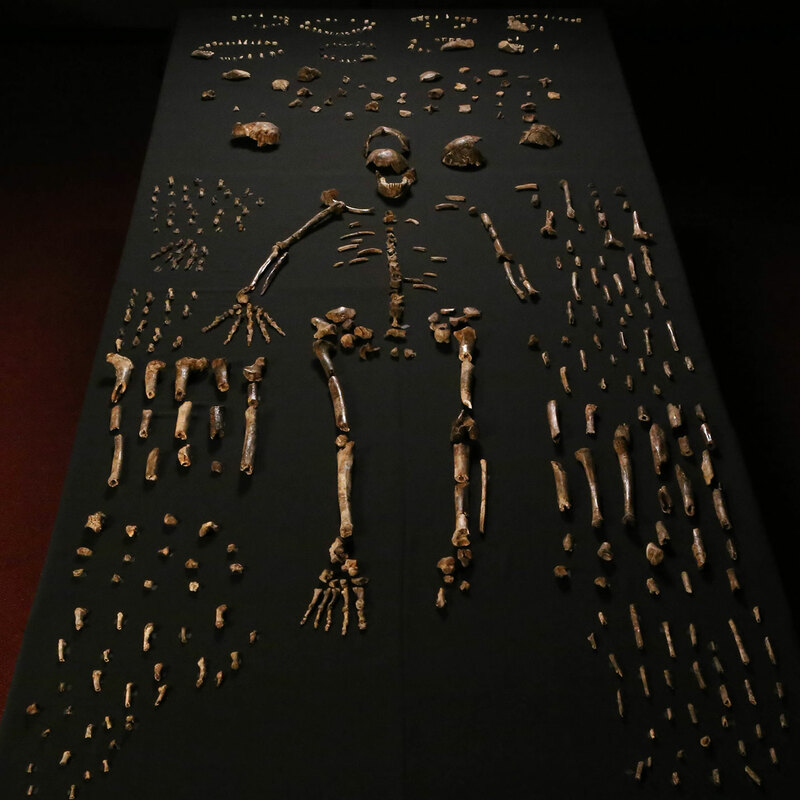 That really ought to clinch it: Homo naledi is one thing, not two different species stitched together. The statistics support that conclusion, and so does the skeleton of Neo. Let's put that idea to rest.